Lots of dog swims Saturday in No. Va. 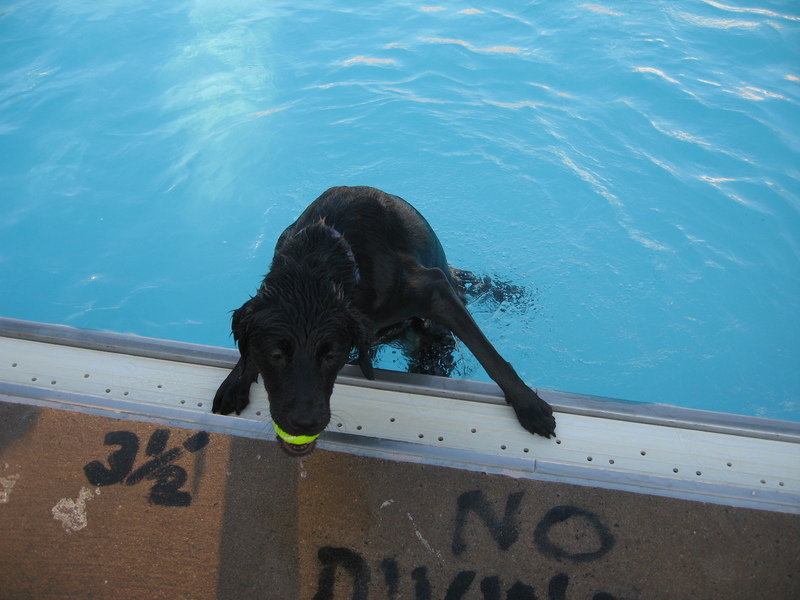 The Northern Virginia Regional Parks Authority pools have closed for the summer–for everyone except dogs! 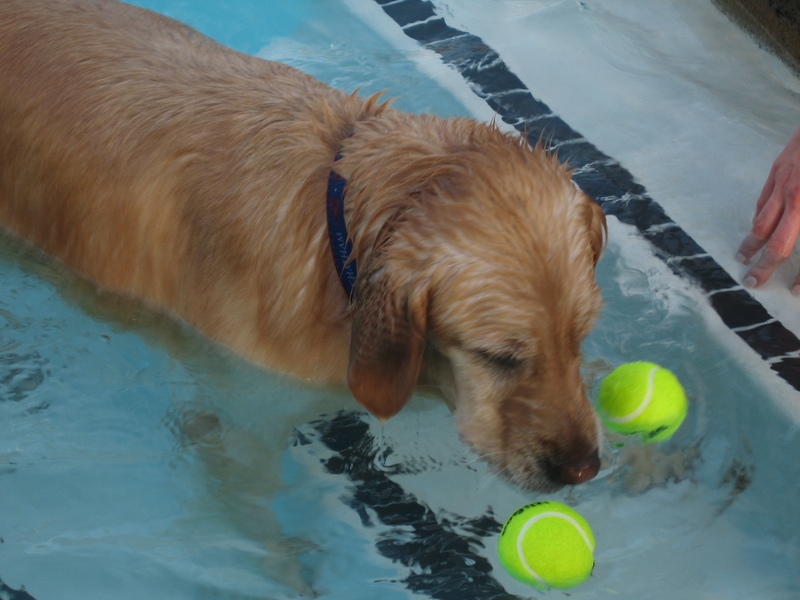 This Saturday is “Dog Days Dog Swim” at many of the outdoor NVRPA pools, including Atlantis Water Park in Centreville, Downpour Water Park at Algonkian Regional Park in Sterling, Great Waves at Cameron Run Regional Park in Alexandria, Pirate’s Cove at Pohick Bay Regional Park in Lorton and Upton Hill Regional Park in Arlington. 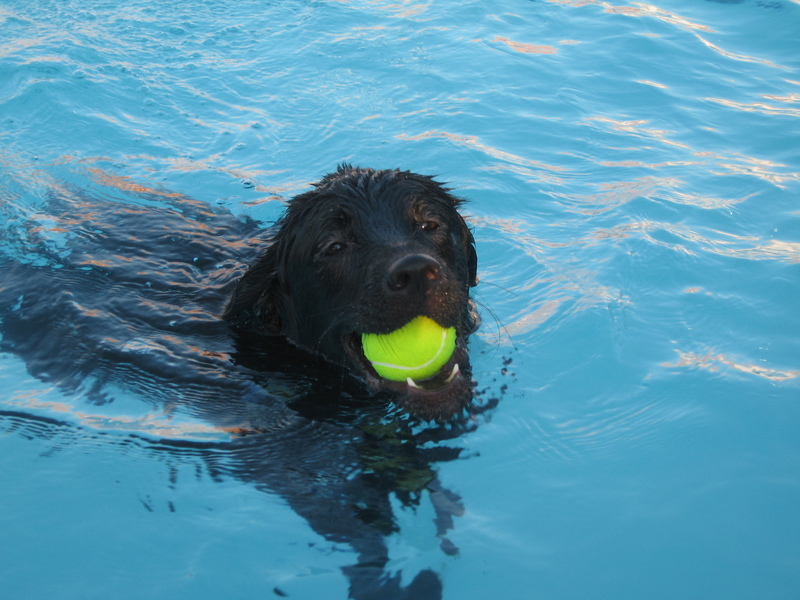 For just $5 per dog, your pup can ride the waves for four hours, from noon to 4:00 p.m. Be sure your dog is up-to-date on vaccinations, and has the tags to prove it. The best thing about the pools that are wave parks, like Great Waves in Alexandria, is that your dog doesn’t have to jump in over its head. The wave pools feature a large “beach” where the dogs can just step a couple inches down, and then wade out as deep as they are comfortable with. Of course, stepping in and out surprisingly was not an issue for my little super-mutt. While I have to show Chatham where the stairs are when we get to a pool–and she uses them–Sundae was able to climb out of the pool anywhere she wanted to. Talk about upper body strength! Scary. 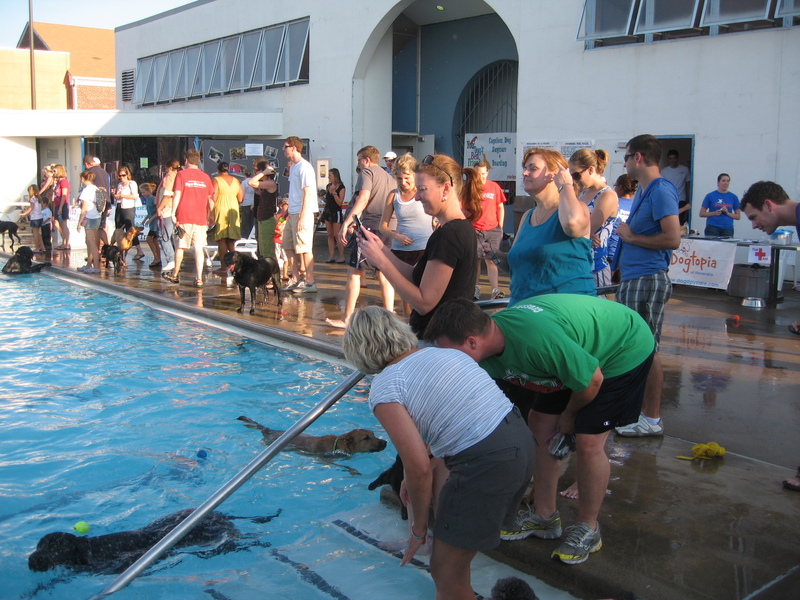 Tuesday’s dog swim at the Old Town Pool was a great success, and likely neared the 100-dog limit. Local dog businesses including Dogtopia and Your Dog’s Best Friends dog day care providers set up tables and distributed brochures and treats, and $5 per dog was collected for the Alexandria Animal Welfare League. 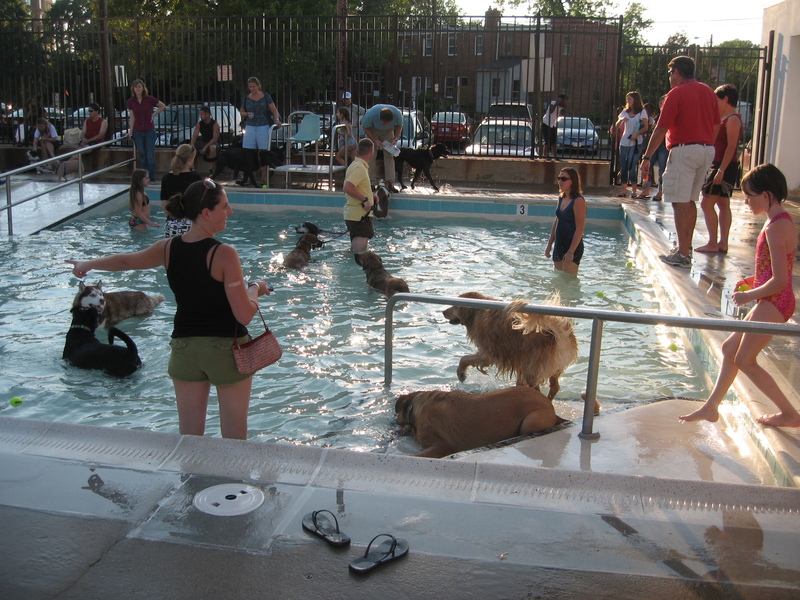 « Dog swim season is here!